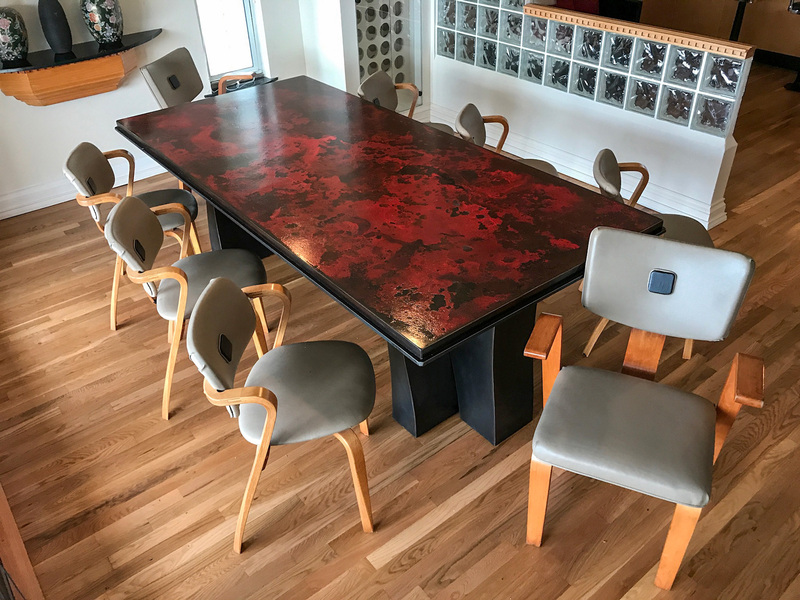 LARGE MODERN MOTTLED STEEL DINING TABLE: Large variegated red paint on steel with a small lip an all sides, resting on 2 black steel modern supports. From the estate of Cedar Hames. Approx. 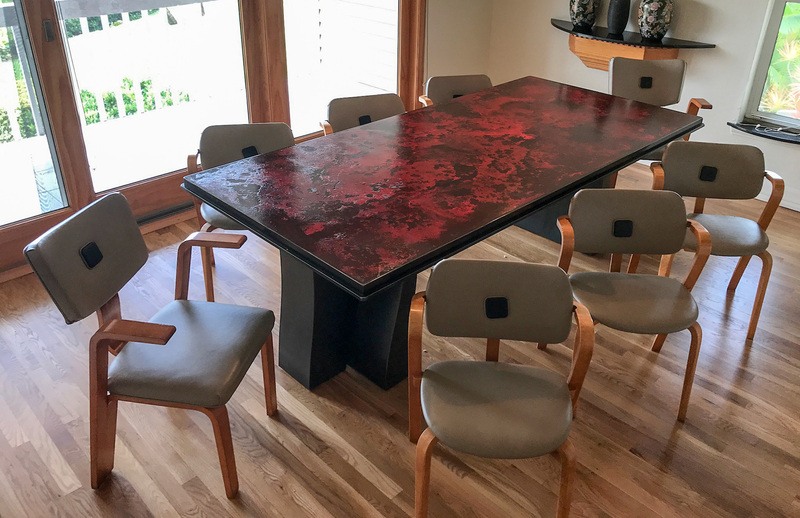 29.25'' h x 90.5'' l x 43'' w.
CONDITION: Some peeling to lacquer on the table top.